At Pilot Catastrophe Services, over the past 30-plus years we have seen many trends transform the insurance industry. However, few have changed it as quickly as technology. 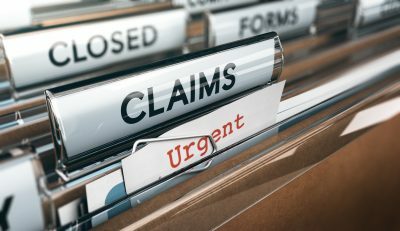 Here we highlight the three trends in insurance claims adjusting that Patricia L. Harman wrote about on PropertyCasualty360. We think all of these will have a major effect on how claims are processed in the years to come. 3-D printing has received a lot of attention in the past few years, but it’s not the only 3-D technology being developed. 3-D scanners that can scan an entire room are making it easy to understand complex disaster scenarios. In just a short time, a 3-D scanner can create a virtual model of a physical room. The model can then be used to assess areas of high risk to reenact a scenario for which a claim was filed. The internet is no longer new, but it’s continuing to have a transformative effect on everything, including the insurance industry. For example, the cloud makes it easy for catastrophe adjusters to access information and process claims from any disaster area,. It’s letting companies in every part of the insurance industry serve customers faster, and the companies that are finding ways to adjust are the ones that are growing. The insurance industry will only continue to change, likely at an increasingly rapid rate. If you’re a claims adjuster, stay informed of these and other trends in insurance claims adjusting, so you can continue to succeed in your profession.